See more of Sherry and Zach's e-session in the Windy City. When Sherry Kim and Zach Brake first met, they both new it was something special. "We spent half of our relationship a world apart. 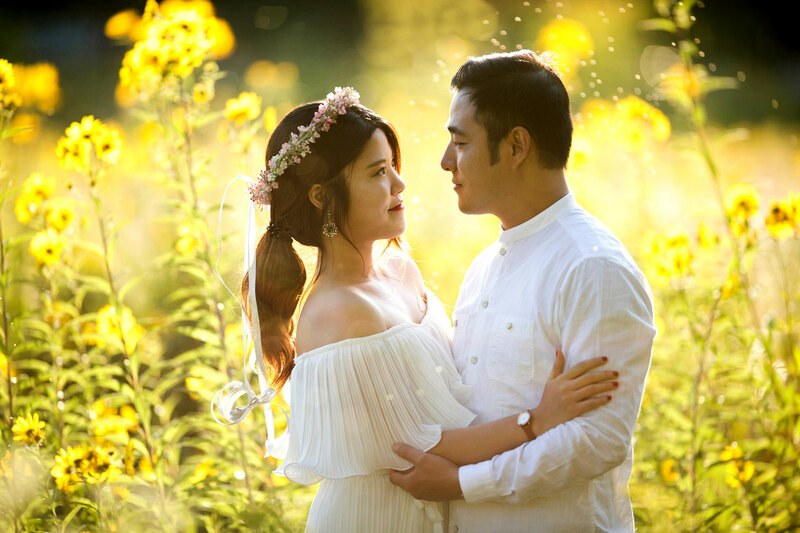 I was working in Seoul, Korea and Zach in America," explains Sherry, though the distance only made their relationship grow stronger. On a winter morning in Seoul, Sherry planned to meet a "colleague" at the airport to pick up a work document. "All of a sudden, Zach showed up! Coming from halfway across the world, he was sitting right next to me! My surprise and joy in that moment is still, to this day, indescribable," she shares. At a candlelit dinner that evening, Zach got down on one knee. 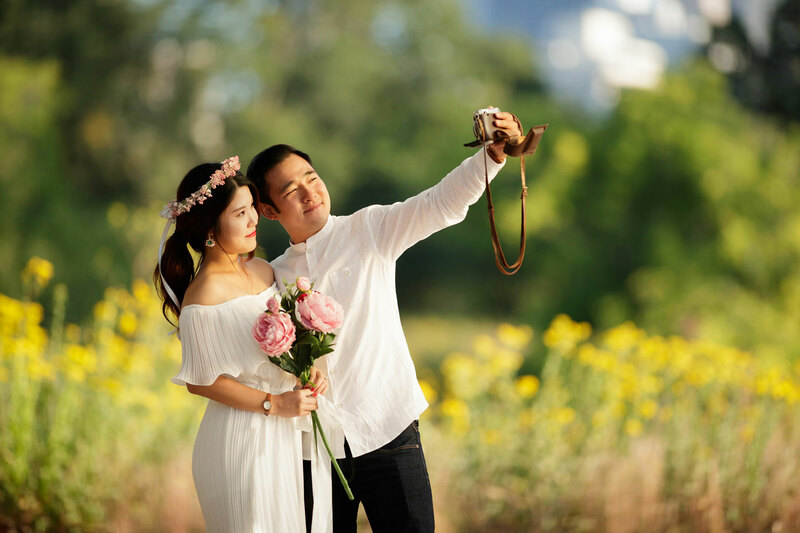 Before their wedding in Virginia, the affianced duo knew they wanted to have engagement photos taken around Chicago, which is the city where they started their life as newlyweds. "We wanted our photos to say 'Chicago' out loud," describes Sherry. 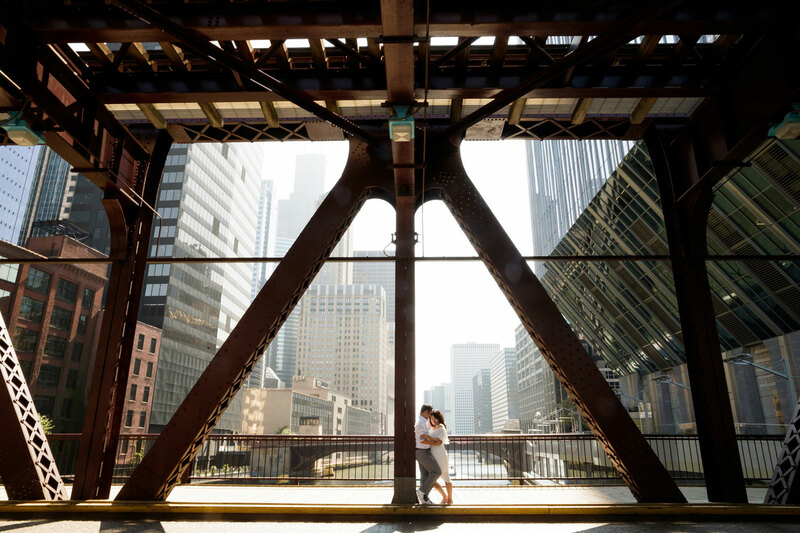 "Luckily, Zach is also a wedding photographer, so between him and Bob & Dawn Davis – our dear friends and wedding photographers – they already knew the most photogenic spots in Chicago! Perfect teamwork made the dream work!" 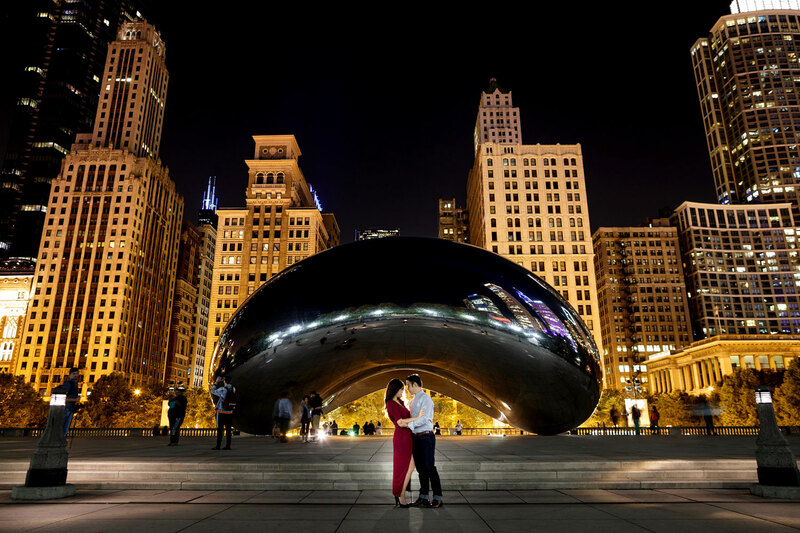 The couple's photos were captured throughout the city they love, including the Willis Tower – originally the Sears Tower, the rooftop of the London House Chicago, Lincoln Park, the Chicago Riverwalk, The Chicago Theatre, and "The Bean" at Millennium Park. "From going to the top of Willis Tower to enjoying the most romantic nighttime taxi ride around downtown, these were all things we have done together over the past eight years in the times we visited Chicago before moving here," she shares. "I love that we were truly 'us' in our wedding photos. We laughed, played with bubbles, danced, and strolled around the beautiful city for 13 hours and did not feel tired at all only because we were being us!" 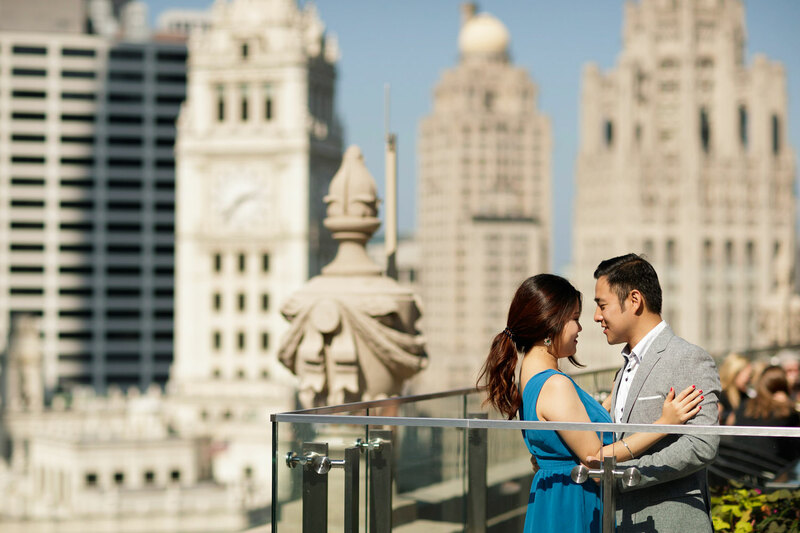 Take a look at the gorgeous photos from this couple's Chicago engagement session, below! For more engagement shoot inspiration, see this at-home e-session in the kitchen and view these shoots in Barcelona, New York, Paris, Brooklyn, Central Park, Malibu, and Palm Springs.